Tax Change Helps Abused Spouses Get Health Insurance Subsidies : Shots - Health News Victims of domestic abuse had to file taxes jointly to sign up for health insurance. Advocates say that could bar them from health care when they're most in need. A rule change should help. A victim of domestic abuse may not be able to file taxes jointly. Yet that was required for health insurance subsidies. Victims of domestic violence can have a hard time qualifying for subsidies to buy health insurance because of quirks in the health law. And they often need help. It now looks like there's something of a fix, as well as more time to enroll. The problem is that married people qualify for subsidies under the Affordable Care Act only if they file their taxes jointly. For victims of domestic violence who may have moved out and fear having contact with their spouse, filing a joint return may not be a safe option. Others fear retribution if they file for divorce. And they may not yet be available to afford coverage on their own. Advocates pushed for more than a year for changes to tax regulations that would make it possible for victims to file separately. In response, the Internal Revenue Service said that domestic violence victims could file as a head of household and be eligible for the tax credits. But that designation requires a taxpayer to have paid at least half the cost of keeping a home for the year, and to have a child living at home. Someone without children or someone who left an abusive relationship less than a year ago wouldn't qualify. 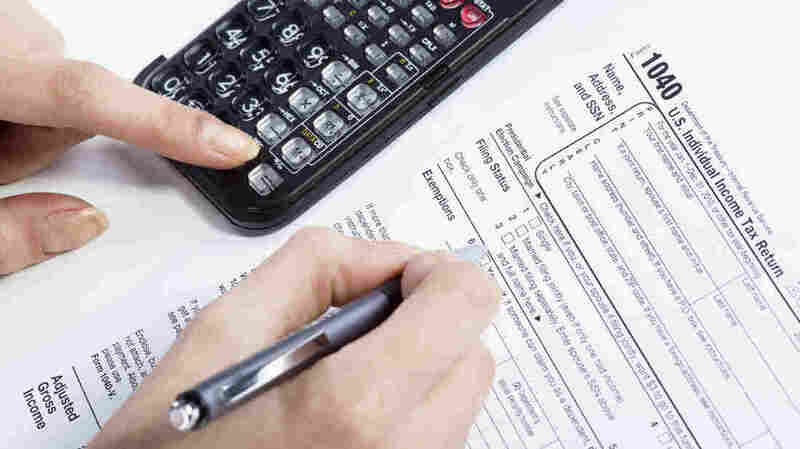 On Wednesday, the IRS announced the change advocates had sought: Married taxpayers who have been subjected to abuse can now qualify for tax credits using married filing separately tax status. In addition, the Department of Health and Human Services announced that married victims of abuse would get an extra two months – until May 31 – to sign up for a health plan on the federally facilitated exchange serving 36 states. Dania Palanker, senior counsel at the National Women's Law Center, applauded the announcement in a blog post, saying the moves are "important steps to ensure survivors of domestic violence have access to affordable health insurance." State-based marketplaces are expected to follow suit, says Brian Haile, senior vice president for health policy at Jackson Hewitt Tax Service. "It's a good first step," says Haile, "but it's hard to understand why the federal government took two years to come to such an obvious conclusion and then announce it only five days before the end of open enrollment." Haile says he's begun making calls to survivors with whom he's worked who may be affected by this news, but "this is a mammoth task."